Washington Cold Storage, founded in the mid-1990s, preserved a piece of Puyallup history by turning a mid-twentieth century warehouse into a state-of-the-art distribution center. 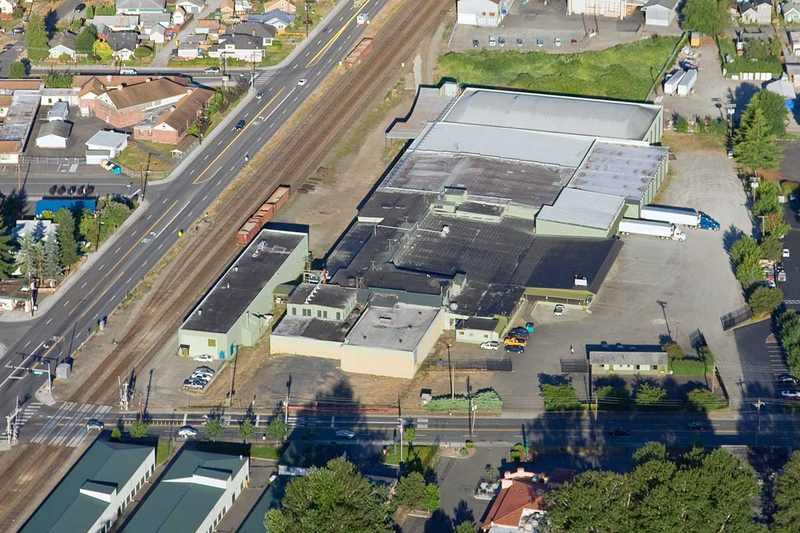 Built in 1935, the building on 15th Street served as a cannery for the Puyallup & Sumner Fruit Growers Association (established in 1889), employing a large number of people from the surrounding community and becoming a fixture in many people’s lives. When it purchased the building, Washington Cold Storage added on to it but left the original wooden structure largely intact. Some of the historic equipment remains, including the rail spur used to bring in the sugar, which acted as a preservative, and the large tubs that stored the sugar. The old managerial offices are visible from the floor where the workers once stood, slicing apples and peeling various fruit for canning and distribution. Walking through the old warehouse, which is lined with filled-in rectangles of concrete that used to serve as drains for the wet floor, does feel a bit like stepping back in time. According to Mitch Brown, the general manager of Washington Cold Storage, some Puyallup residents remember working in the building in its heyday as a cannery. Whole families would be employed, either long-term or for a season or two. Before the days of the conveyor belt and mechanical apple peelers, everything had to be done by hand, which required patience and consistency. 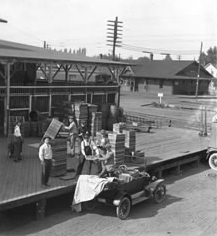 Getting its start in the Great Depression, the building provided employment for several generations of families in Puyallup, before eventually becoming incorporated into eight acres of storage space now owned by Washington Cold Storage. The reuse of historical properties can be a complicated process, sometimes involving such major work that the old building is unrecognizable, but the current owners have made use of much of the building’s original structure and take pride in once more offering making it a place of employment for people from the region it serves.